Every once in a while, I get carried away ends up somewhere just a little bit too for lunch during work week. This was one such occasion that happened several weeks ago when my badminton buddies called up for a quick lunch. 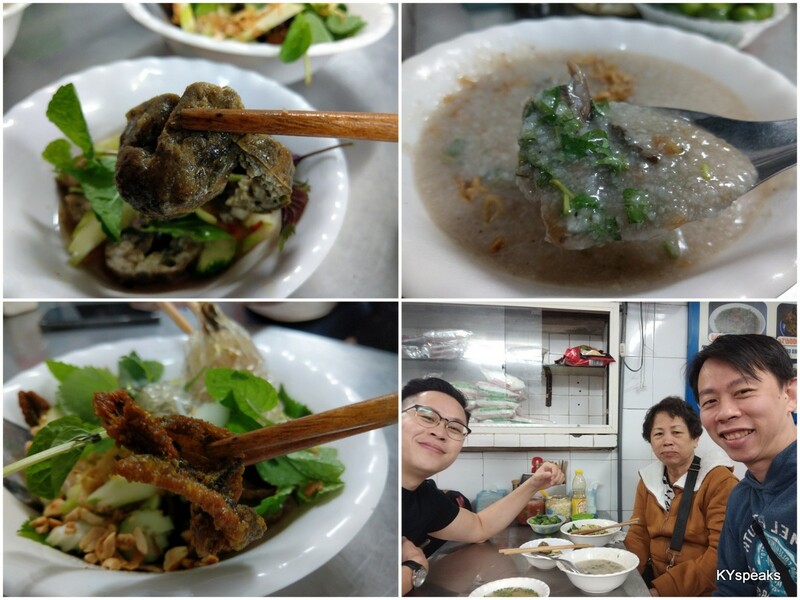 Our first option was closed, and so somehow we ended up traveling from Bukit Bintang all the way to Cheras for a promise of good roast duck and yong tau foo at Restaurant Sun Ming. 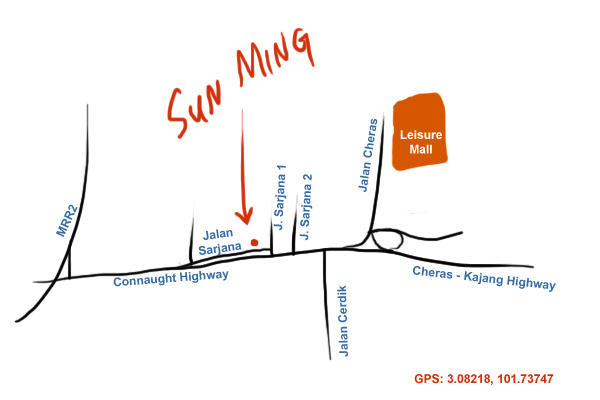 Located at Taman Connaught, Sun Ming was super busy when we arrived at around one pm in the afternoon. Parking was a bit of an interesting affair but with patience one usually prevails. There’s usually a line at the restaurant, don’t follow the line unless you are going to tapao. We worked our way inside the restaurant and stood beside some patrons who were finishing up their food, like vultures to dying animals, but our aim was an empty table. It took another 25 minutes or so to have our food served after we were seated and made our orders. This is definitely not a place to visit if you’re in a hurry. Fortunately, the quality of food makes up for what’s lacking in speed of service. 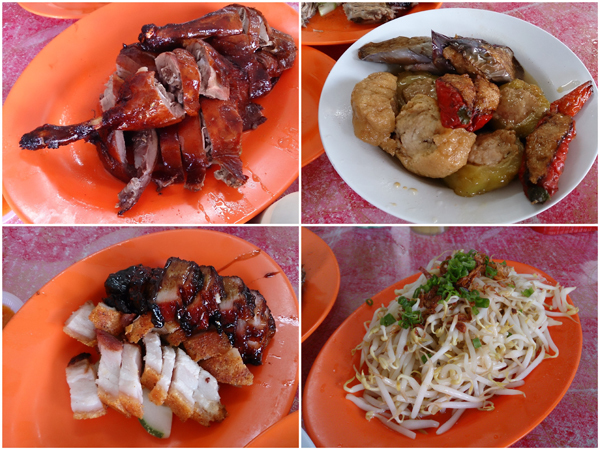 The roast duck had crispy skin and juicy meat, the roast pork savory, and the bbq pork too is on par with some of the bests I’ve tried from anywhere. As far as roast meat is concerned, they got it right. 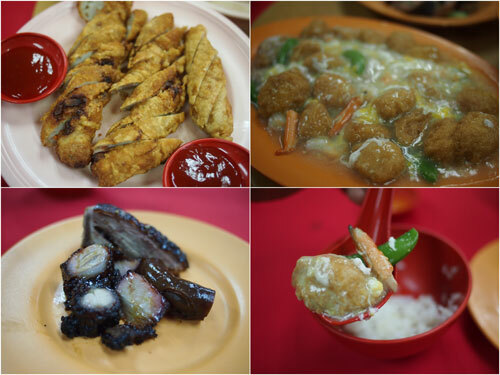 As for the yong tau foo, the version at Sun Ming is deep fried version that is increasingly harder to find. If you haven’t tried deep fried yong tau foo, you should. They tastes pretty different from your usual soup based version, and I think works well with the other dishes. 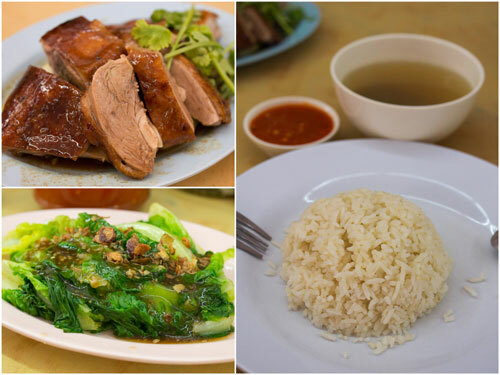 Sure, the roast duck at Loong Foong is slightly better, roast pork at Wong Kee is a bit more superior, and Ming Brother at Shamelin might serve a plate of bbq pork that is rated a tad higher. At Sun Ming though, they are almost as good, and you get all of them at the same location. Furthermore, which other roast meat shop serves yong tau foo? 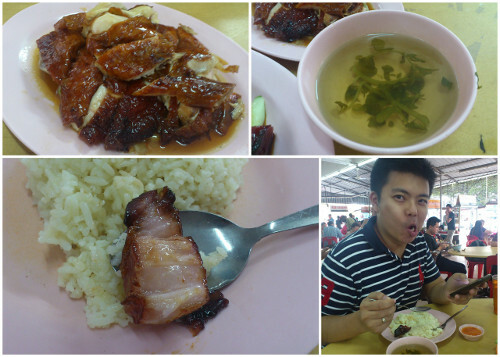 Our lunch came to around RM 15 per pax, and yes, I would go back again. A couple weekends ago we woke up bright and early at over 11 am in a lazy Saturday morning, and naturally hungry. The normally quiet and demure Yuki was full of enthusiasm and decided that char siu is what we should have, and she knows just the perfect place for it. 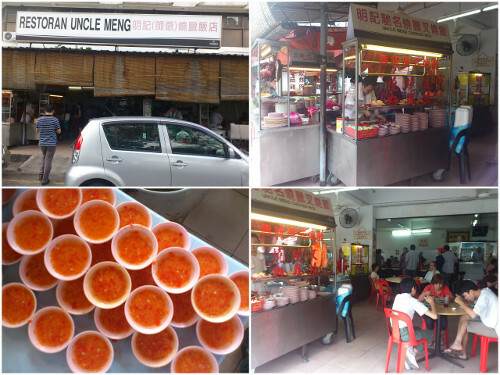 A place in Shah Alam that she claimed better than the famed Meng Kee at Glenmarie. The name of the place? 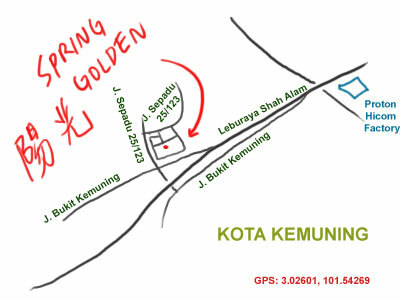 Restaurant Golden Spring, or 阳光, which actually means sun light, but I guess direct translation is overrated for restaurant names. 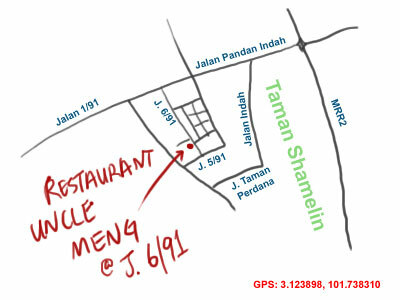 The restaurant is located at “the other side” of Kota Kemuning, at a light industrial area that offers very little trouble in terms of parking, certainly a welcoming change. Getting there isn’t too much of a hassle either, take the first left after Proton, then a couple right turns will get you there. Business is pretty brisk, and the operator dressed up professionally as a chef and take your order in English, undoubtedly better than some other places whereby ordering food is an exercise in patient and sign language ability, ie: I don’t like wait staffs who can’t speak any of the 5 languages I understand. 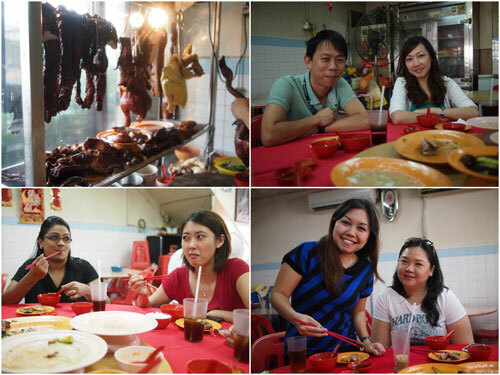 We ordered just about every type of meat they have – bbq pork, roast pork, roast duck, and roast chicken. The char siu certainly did not disappoint, the cut was that with a good percentage of pork fat, and those fat areas roasted to perfection – they are half transparent (Yuki said it’s like collagen, it’s good for you, women’s logic…) I just love it and we ended up ordering a second plate. This is certainly one of the best char siu I’ve had, especially for those who enjoy the meat a bit on the fattier side. The siu yoke isn’t shabby either, they are firmer than those you get from Wong Kee at Pudu, but with very good flavor and very decent crispy skin. Roast chicken is pretty average. Another side dish we ordered was the roast duck, the breast meat that we got was quite a huge chunk and did taste pretty decent, tho nothing spectacular. 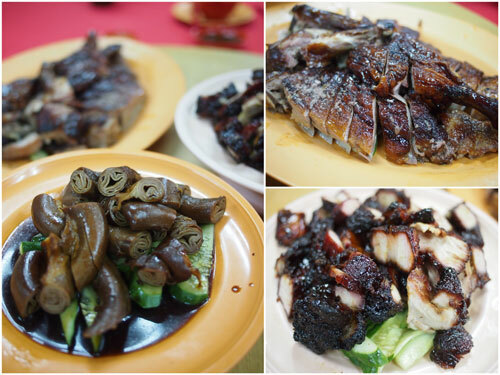 Roast duck lovers should opt for the likes of Sunrise and Loong Foong instead, but this one isn’t too bad. Lunch came up to about RM 15 or so per person, with the amount of food we had, it was certainly fair. I’d go back to this place again. 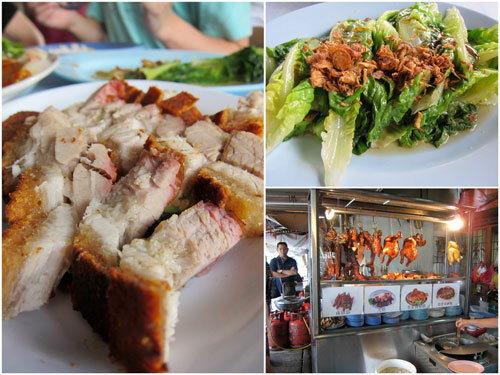 There are quite a number of places in Klang Valley that are famous for their char siew (bbq pork), and a couple weeks ago my colleagues introduced me to another place that serves one of the best char siew in town – Restaurant Soo Kee at Jalan Ampang. 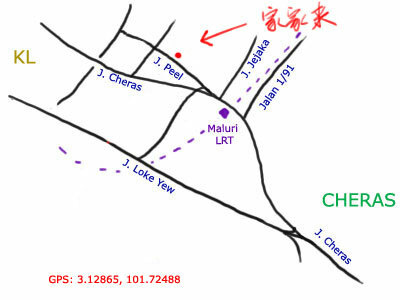 I think some day I should compile a list of the best char siew places, but until then… lets talk about this place instead. 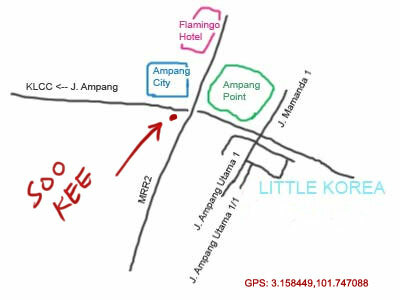 Restaurant Soo Kee is situated at Jalan Ampang, just right next to the flyover heading to Ampang Point. While you can’t park directly outside the shop, it’s not exactly tough to find a spot at nearby roads. It’s an old school restaurant with even older owners, but the place is air conditioned, and pretty clean too, that’s always a plus. For the 7 of us, we ordered the char siew, salted roast duck, intestine, deep fried spring roll, and their signature tofu dish. I think we had initially ordered a vegetable dish to go with, but canceled it somehow. 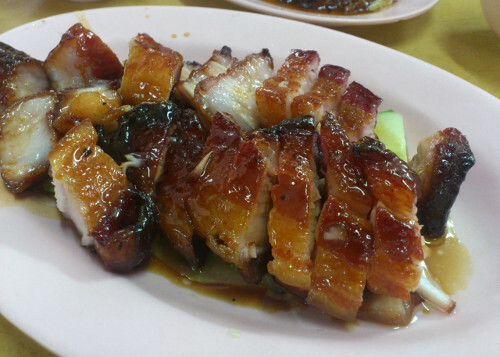 So the char siew – it was easily one of the best I’ve had. 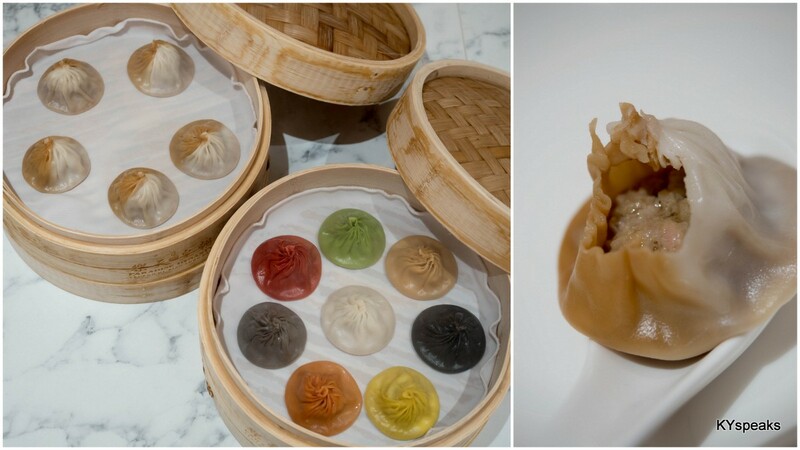 The skin was slightly charred, the meat soft, succulent, and the layer of fat almost transparent. This is what we came for, and none of us were disappointed. Then there’s the salted roast duck, this too was a dish not to be missed. It tasted essentially like .. well, salted version of a good roast duck. I do like the extra dimension that the saltiness bring, the skin was crispy, and we devoured everything. The intestine though, was a bit of a disappointment to me, it was a little bit too tough (perhaps overcooked?). Not bad per se, but could be nicer if it was a bit softer. Deep fried spring roll actually looked and tasted nothing like spring roll, but a lot closer to fish cake instead. However, it was a really good fish cake and something that I’d order again without a doubt. The signature tofu is basically Japanese tofu in egg drop soup with a bit of seafood ingredients. Offers some contrasting taste to the mostly oily/fatty dishes we had, a good balance, but nothing to shout about. 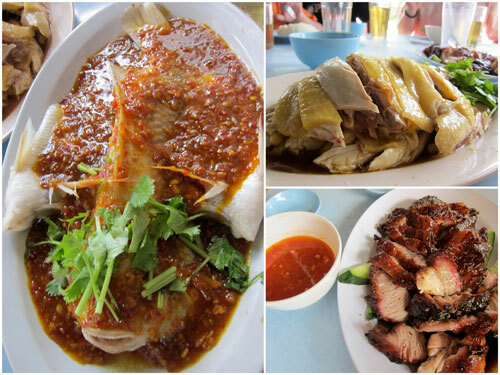 We had an awesome Friday lunch for sure, and Soo Kee is definitely a place worth revisiting. The lunch came to something like RM 15-17 per person. Reasonable for what we had. 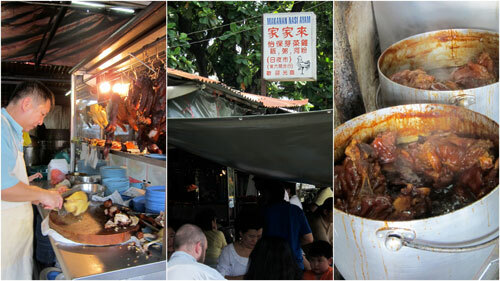 Jalan Peel has always been a place where the locals go to eat. 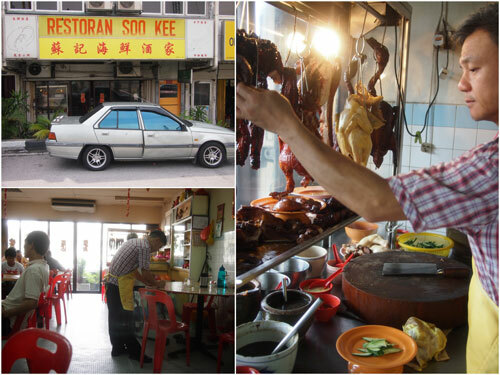 The area has some of the most old school traditional eateries one can find outside Pudu area. 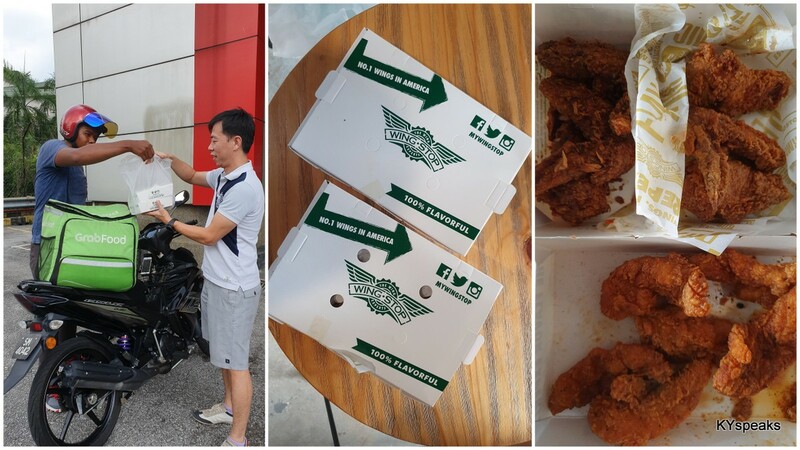 A few weeks ago I went there for the first time when we visited the Sunway Velocity showroom. 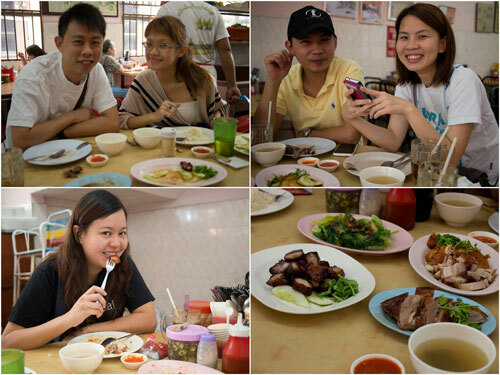 It was the good people from Sunway who actually treated us lunch at Kar Kar Lai (家家来). Thanks! 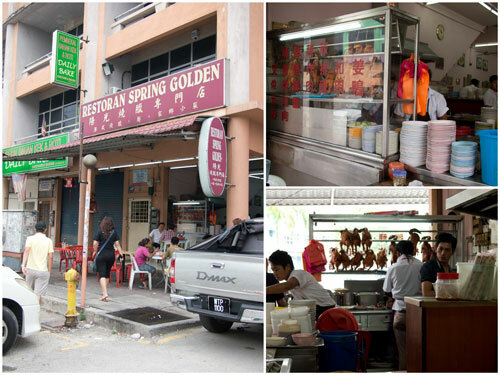 Edit: According to Aaron Lim – They have since then shifted to China City Restaurant and renamed to Yoong Char Siew after their stall at Jalan Peel is demolished. The set up at Kar Kar Lai isn’t much. 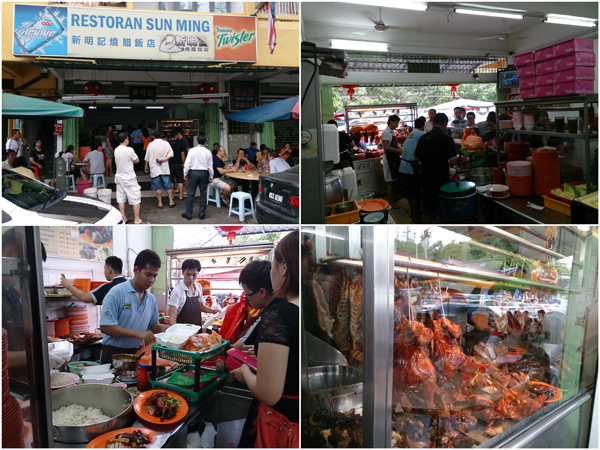 An inconspicuous stall with plenty of meat on display, with make shift tents over a dozen of so tables by Jalan Peel. Not very different from Thim Kee at Pudu, 10 points for old school feel, 1 for weather protection. We ordered steamed chicken, siu yok (roast pork), char siu (bbq pork), steamed tilapia, and vegetable to go with rice for lunch, but did not try the yummy looking pork knuckle or chicken feet, unfortunately. The steamed tilapia with thai sauce was pretty good. The meat fresh and tender, the sauce packs a kick, goes well with white rice but probably too strong to eat as is. Steamed kampung chicken was yummy too, slightly tougher than normal chicken, but quite a bit more flavorful. 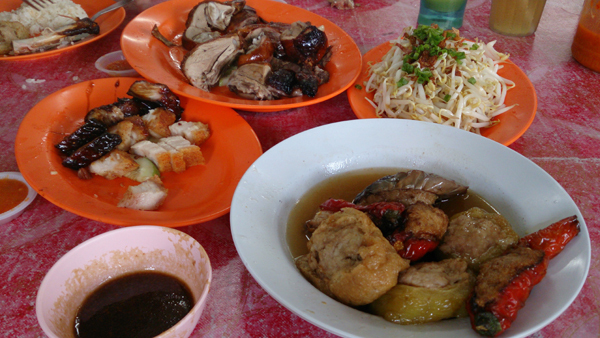 After all, Kar Kar Lai’s signboard shows that this is a chicken rice stall. My favorite of the day though, goes to the char siu (bbq pork). The caramelized meat was tender, sweet, and positively delicious, don’t miss this out if you come here. This is on par with some of the better char siu in town, like Meng Kee at Glenmarie and Famous Seremban Favorites at Aman Suria. The siu yok (roast pork) was what our host kept telling us about, but to be honest, while it was good, I couldn’t say that it is exceptional with a straight face, an off day perhaps? (Our host swore it’s better on other days). I would definitely give it another try. As usual, we also ordered a vegetable dish to make sure mom approves. 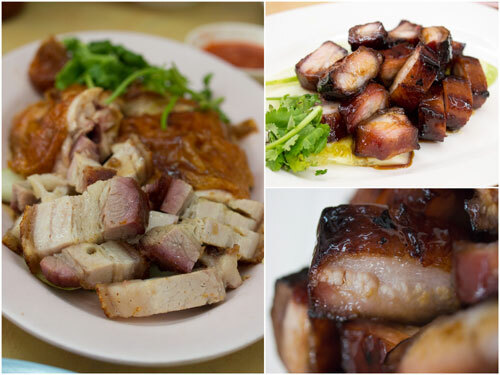 Overall, Kar Kar Lai is a place definitely worth visiting even just for the char siu and steamed chicken, I’d also like to try their pork knuckle and Chinese sausage next time. Price information is absent since lunch was bought by our generous host from Sunway, but I have a feeling it’s pretty affordable.